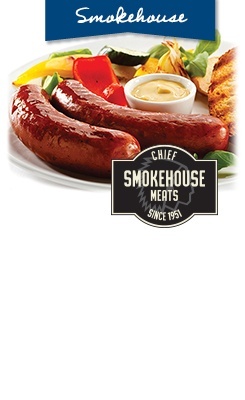 Handmade five days a week in our state-certified smokehouse at our Celina Chief. Delivered fresh to our other stores within 24 hours or being made. Includes various sausages, bacon, bratwurst, smoked chicken and poultry, and more! We grind our beef fresh on site several times each day so that you always have the freshest ground beef. 80% Lean Ground Beef is a good choice for juicy and savory meals. 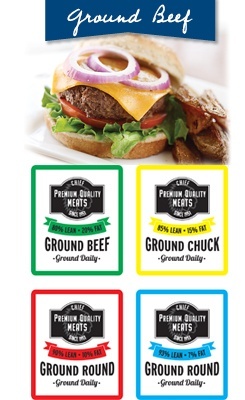 85% Lean Ground Chuck, a delicious mix of juiciness and flavor. 90% Lean Ground Round is a lean and healthy choice. 93% Diet Lean Ground Beef for healthy weight control and weight loss. 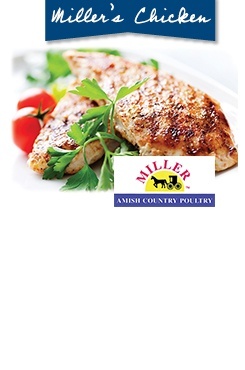 Miller Amish Country Poultry is raised on an Amish farm in Indiana. Animals raised for the production of natural pork are handled using humane treatment. 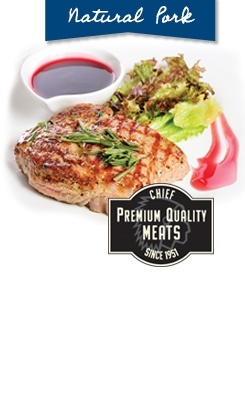 Naturally produced pork possesses more flavor and taste than other pork.